It is clear – even months before the annual sugaring season in February and March – that maple syrup pulses through the veins of Vermonters. It is the life blood of the state, blanketing every hill and valley with a glossy coating of sweet amber sap, even when the sugarhouses have gone dark and the steam has dissipated. In October, the maple leaves turn an incendiary crimson red and the maple lover can find sugary maple leaf candies, maple dessert wine, maple ice cream, maple-flavored mustard, maple pumpkin butter, maple fudge, and shelf-upon-shelf of bottles and rectangular tin jugs of traditional maple syrup labeled Grade A Fancy, Medium Amber, and Dark Amber. Fancy is the color of golden honey, Medium Amber resembles a wheat-colored pilsner and Dark Amber is the color of English stout. 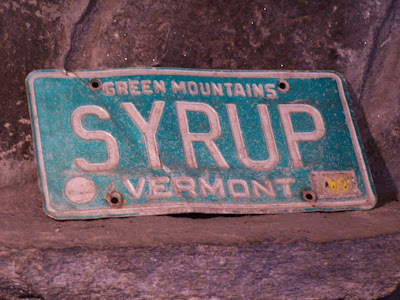 In Vermont, maple syrup is magic. 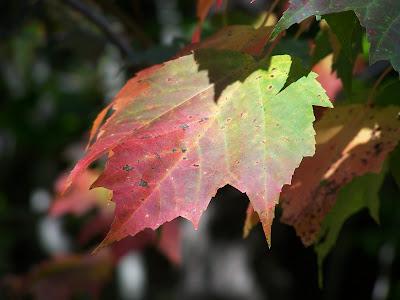 Native American’s called the sugar maple “Sweet Bud.” For the true enthusiast, a single word on a license plate declares a life-long devotion. Nearly every farm seems to have a sugarhouse out back. We spot shiny tanks and miles of tubing in the woods, a sign of the annual sugaring season. It will be several months before maple sugar production begins, but the family is on duty at Sprague and Son Sugarhouse on Route 100 in Jacksonville, Vermont, even during the fall foliage season. Sprague and Son is a sturdy wooden structure, trimmed in honey-colored wood panels, with shiny chimney pipes emerging from the roof. Cords of firewood are neatly stacked out back. Karen Sprague greets us as we enter the sugarhouse. The day is warm, her hair is pulled back and she wears a sleeveless top. She is full of energy and bursting with information about the production of maple syrup. “I married into the business,” she explains. 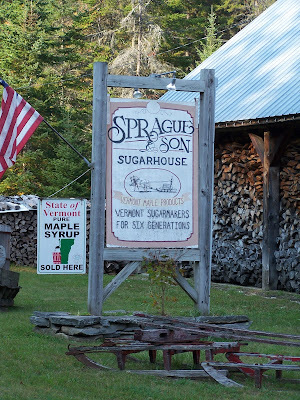 The Sprague family has been collecting maple syrup in Vermont for six generations, and practices traditional methods of producing maple syrup. On the average, the Sprague family produces about one quart of syrup per tree each season, working from about 4,800 maple trees. Karen explains that the product of each sugarhouse is distinct and original. It was a commitment to sharing their craft with the public that inspired the Sprague family to build their sugarhouse on a main road. 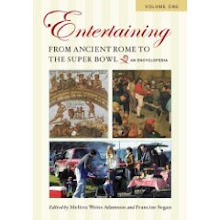 They liked the idea of inviting the public in, but the first weekend they were so busy with visitors, it proved a distraction. “We actually scorched the pans,” laughs Karen. Small glass vials filled with syrup line the window sill, showing the variation in color from the previous year’s batch. In the center of the room is a long metal pan, which sits atop a rectangular enclosed wood burning stove. The sap is stored by tanks at the side of the road, piped into this evaporator and then heated until it reaches the critical temperature that turns the mixture to syrup. 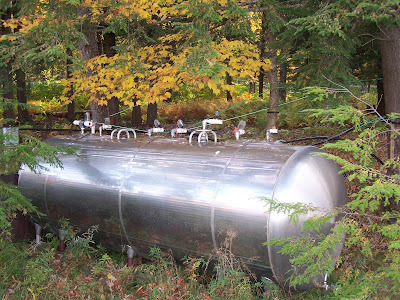 The evaporator can hold up to 1,000 gallons of sap. I learn that there is an instinctive feel to producing quality maple syrup. “My husband and father-in-law can determine when it’s syrup just by looking at it,” explains Karen. The finished product is stored hot in metal drums and eventually packaged in smaller batches. Karen takes some syrup that has been heating in a metal box with a spout and pours it into Dixie cups for us to sample. We sip the silky liquid. It is a wild toboggan ride – clean, molten flavors of caramel, toasted nuts, sweet smoke and honey. We purchase several jugs of Vermont Grade A Medium Amber. The containers are still warm in our hands as the batch has just been bottled hours earlier. I ask Karen about her favorite methods for using maple syrup in the kitchen. “I’m a vegetarian,” she replies. “I steam most of my vegetables and sprinkle them with maple sugar or syrup.” She drizzles sweet potatoes with maple syrup before baking, and her son is an advocate for using maple syrup as a glaze for pork or veal. “You could get rid of every sweetener in your house for cooking or baking and use maple syrup,” Karen explains. One gets a sense of the sheer excitement the Spragues experience each season as they produce a completely natural food product. “It’s the most amazing thing to take something from the tree that looks like water and see that liquid turn to syrup,” says Karen with a broad smile. During the sugaring season, results are dependent on nature and what the trees offer. The Spragues have worked as briefly as four hours, or as long as 72 continuous hours done in shifts. The maple trees set the schedule. “When the sap flows, you boil,” Karen smiles. What better way to make use of my supply of Pure Vermont Maple Syrup from Sprague and Son than by mixing up a batch of hearty muffins for autumn, bursting with the flavors of New England? Preheat oven to 400 degrees F. Combine flour, sugar, baking powder and salt in a large bowl. Cut butter into small cubes and cut in with your fingers until blended well. Add cranberries and walnuts. Beat together egg, milk and maple syrup and fold into dry ingredients until just blended. 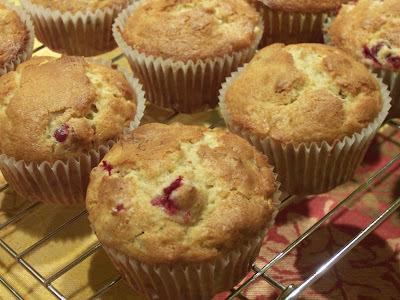 Fill paper-lined muffin tins 2/3 full and bake at 400 degrees for 20 minutes. Yield: 12 muffins. 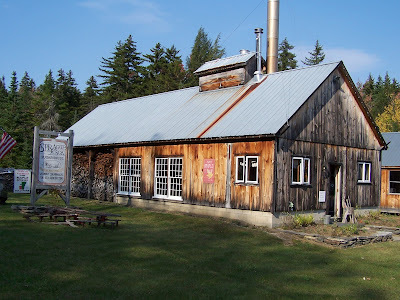 Click here for more information on the history of Vermont’s maple sugaring industry. Click here for more recipes using Vermont maple syrup. In our little town in Rhode Island, there is a sugaring house (and there's one in the next town, too). Up along the top of one wall, they have 40 empty one-gallon milk jugs strung across the room. It takes 40 gallons of sap to boil down to one gallon of syrup. Whenever we have kids visiting, we take them to the sugar house, and they gasp when they see all of the empty milk jugs! Ah, the maple syrup post, months before I expected it! 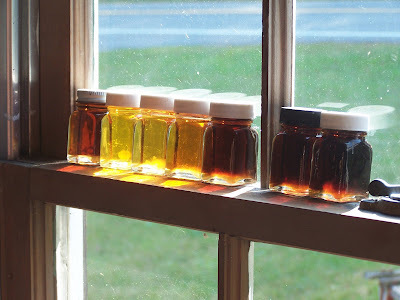 I like the photo showing the glass vials of syrup on the window sill--amazing that there are so many color variations in one year. You've done a terrific job covering Vermont because now I want to go and visit. So is autumn the best time to go there? A few years ago my sister and I took a road trip to Vermont, where we discovered maple sugar candy. Not the sad excuse for maple sugar candy you can find in truck stops across the Midwest. No, this was the soft and creamy maple sugar pieces with a slightly harder crystallized crust. We drove from sugar shack to sugar shack, fueled on a sugar high and comparing each operation's version of the treat. Excellent memory! Hi Lydia - it is an amazing process, and adults have the same reaction as the kids! Hi Kathy - you knew the big finale to the Vermont series had to be about maple syrup, right? I'm thinking a maple syrup tasting party might be fun! Veron - You must go. If you are a skier, winter is THE season. But I thought the autumn was absolutely gorgeous! Hi Tera - thanks so much for visiting! 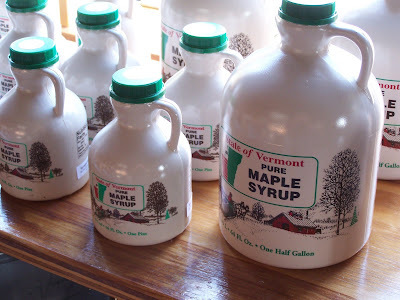 I now have a large supply of maple syrup in stock, so I'm going to experiment with different types of recipes. I want to go back during sugaring season and experience the process first hand. Oh...how I love maple syrup. I agree with Karen...all one needs is maple syrup for sweetening. Your pictures of Vermont are great and capture the state beautifully. Hi Diane - I've just begun to realize that there is a difference between "sugar" and "sweetness." I'm going to do some more experimenting to see where I can substitute the "sweet" of maple for sugar. What a great post. I actually like some maple syrup over vanilla ice cream but I am weird like that. Thanks, Bradley - I think maple syrup and vanilla ice cream is an outstanding dessert! Oh, T.W., my heart is longing for New England. You've made Vermont so inviting in your posts. We may have to take a drive up there next year when we go to RI in October. And I love that recipe--truly. Cranberries and maple syrup sounds like a dynamite combination! The muffins look so good, T.W.! Thanks, Susan - I really wanted to capture the essence of the food and people of Vermont. And, October is such a perfect time to visit. 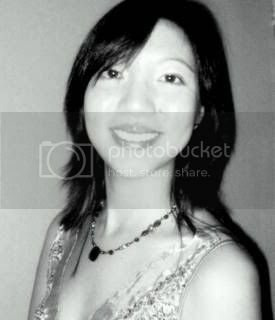 Hi Patricia - Thanks so much! Glad you got to try maple syrup and cranberries - they are such distinctive foods of New England. And I wish I could taste your ultimate muffins. They look awesome! Thanks, Valentina! I loved the deep flavor that came from the maple syrup! Jann - I would really recommend the area - The foliage was stunning, and the little towns were so quaint and lovely.